Drag left and right to aim. Hit all targets to win the level. Having a hard time beating a level? Try bringing in POWERUPS! Use a Rocket Powerup to clear that hard to reach spot. Invite your friends to play and show your high score dominance. Getting 50,000 points in one ball will earn you a 1UP Extra shot. The 3UP Powerup will give you three more shots on any level. Out of LIVES? They will regenerate with time or just ask friends for more. Did you know that you can bring in another monkey's Powerup into a level? Win badges for getting stars on certain levels -- collect them all! You can buy extra shots, lives and boosters with your MONKEY GOLD. IF you run out, you can go to the store to buy more. 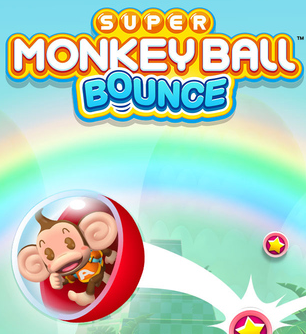 You can get full lives in Super Monkey Ball Bounce app at anytime. You can get this cheat by changing your phone's time setting. Close your Super Monkey Ball Bounce app by either restarting your phone or by killing it on your task manager. Open Super Monkey Ball Bounce app and you will get your full Lives. Open Super Monkey Ball Bounce app but do not play a single game. Open Super Monkey Ball Bounce app just to make sure that there is no problem.